But I do fondly remember a time when the World Series was played on glorious sunlit afternoons in the first week of October. And I remember when we voters didn’t focus at all on the presidential election until after the final out of the final game of the October Classic. But these days the World Series doesn’t even start until late October and runs past Halloween into early November. The presidential election campaign doesn’t just last a few weeks. It lasts an eternity. It seems like Hillary Clinton and Donald Trump have been trading insults now for about a decade. I think we’ve all made up our minds on how we’re going to vote in the upcoming election. And so here’s my advice to every American who, like me, is sick and tired of the 2016 presidential election campaign, which actually started around 2014. 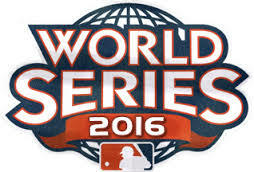 Let’s all turn our undivided attention now to the World Series. Every time Donald Trump or Hillary Clinton appear on our TV screen, just grab the remote control channel changer and switch it over to baseball. And if you are one of these rare individuals who loves politics more than baseball (and, if you are, I suggest you need serious counseling and perhaps medication), I still recommend you switch to the World Series for the next couple of weeks. Like it or not, election night will be here on November 8th, and as we unfortunately learned in 2000, the election contest might still go on for several weeks after that. And then, all too soon, the 2020 presidential election campaign will begin when Kanye West announces he’s running for president! Lord have mercy. Now, if you’ll pardon me, I’m headed to my den to watch baseball. site: good article found here. best dissertation service: Politics is the one issue that we should be really serious about because it has been concern with the future of this country. We are supposed to have general information about politics. pple iphone SE dealers in Delhi: Amazing article, thank you, I will visit again soon! college essay writing: We can't forget the presidential election as it is the core element of our society. If we are unable to identify a right person for your jobs, security and peace around the globe then we are nothing and believe me, America is great until we are unite and prosperous. B Tech college in punjab: Engineering as a subject combines mathematics, logic and science to find solutions to our daily life problems. Over the last few decades, engineering as a profession has seen vast expansion. bleutrade.com: Bleutrade is a startup focused on cryptocurrency exchange based in Brazil, Porto Digital (Recife/Pernambuco), a leading technology hubs in Latin America known as the Brazilian Silicon Valley. Our goal is to be one of the most secure, fast and stable cryptocurrency exchange in the market, providing the best user experience.